Whether it’s “on a Tuesday”, or just a muggy hot day in summer, you can NEVER go wrong with tacos! 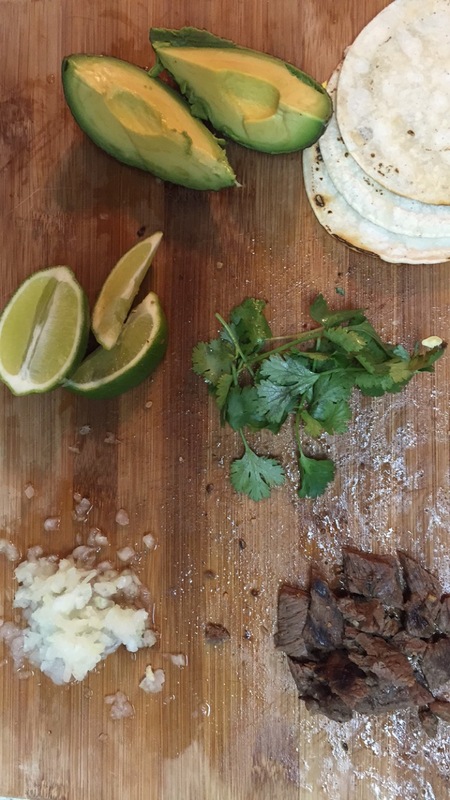 This is my spin on Carne Asada tacos infused with a sweet grapefruit citrus kick and just the right amount of spice! 1 of each: squash, zucchini and yellow squash. spices: salt, pepper, crushed red chili flakes. 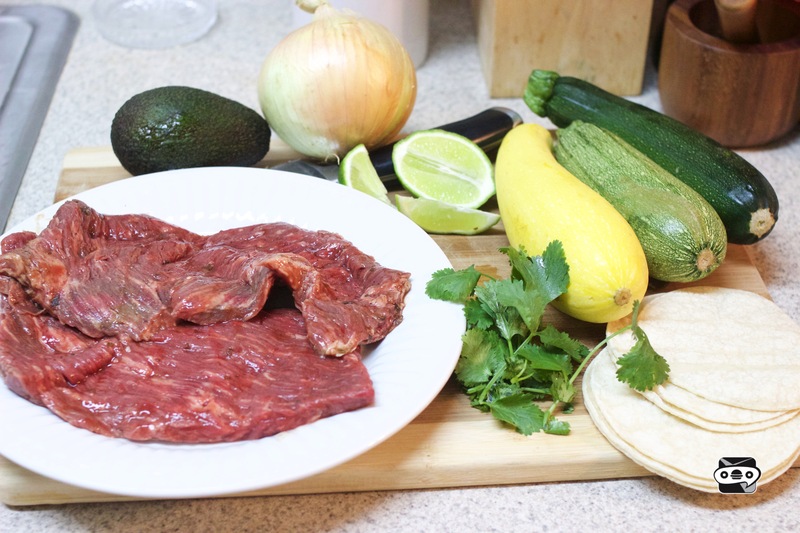 Start by cooking/ searing your carne asada on the grill to lock in the flavors. You don’t need to grill long because we will be sautéing it shortly. mince your onions and pick off some leaves of cilantro to add to your tacos. This is also the time where you should start chopping your squash! I prefer circles for coloration and presentation but strips work just as well. Remove the carne asada from the grill. Chop your meat into bite sized pieces and toss them into a sauté pan. Add in the juice of half of a grapefruit along with 1TbSp of crushed red chili flakes, dash of salt and pepper. Once your meat is simmering to lock in the citrus spicy flavors you can place your veggies on the grill with a little bit of water to steam them, don’t want them to dry out. cut your avocado to place on your tacos and heat up your tortillas. I prefer the grill but the microwave with a wet towel can work just fine too. Hope your hungry because its time to enjoy!! !